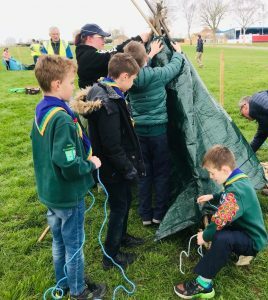 Kids Country invited local Cubs and Beavers groups to the East of England Showground for a morning of fun, learning and education. Each year, the event takes on a different theme with interactive activities on offer so the children can obtain skills for badges. This year’s theme revolved around nature and the outdoors. The nature-loving Cubs and Beavers learnt how to identify native trees from their bark, leaves, fruits and twigs, with the help of local experts. The children then created beautiful clay tiles using fallen leaves to make imprints. Farmer Emily joined us, along with her pedigree goats. Emily taught the Cubs and Beavers about animal care. The children enjoyed petting the goats and had a go milking a wooden demonstration goat. They also learnt about the nutritional value of goat’s milk and even got to taste goat’s milk and cheese. Hesitant at first to try it, the children were surprised to learn that goat’s milk tastes very similar to cow’s milk! The Cubs and Beaver’s competitive side came out when they were challenged to make dens. In small groups, the children tested their survival skills by using natural resources and a tarp to create a structure they could all fit in. British dragonfly experts introduced the Cubs and Beavers to the wonderful world of dragonflies. The children learnt how to identify dragonflies and damselflies, and to appreciate and understand the important role they play in terrestrial and aquatic habitats. The children then studied the dragonflies up close and made their own beautiful dragonfly ornaments. View all of our events that take place throughout the academic year here. Find out about sponsorship of our events here. 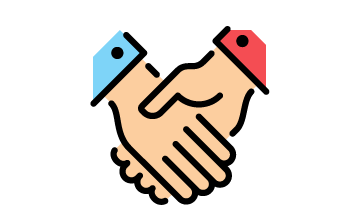 Get information about volunteering opportunities here. A lovely selection of activities ran by friendly and knowledgeable individuals. Thank you to you all and we look forward to your next event.